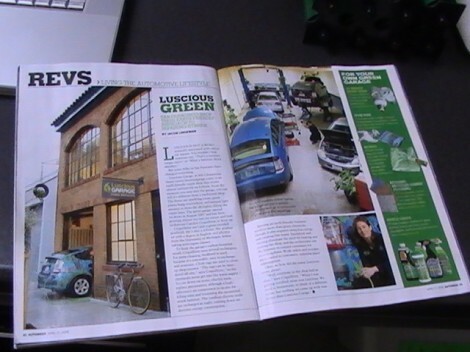 This week’s AutoWeek features Luscious Garage on pages 52-53, in the “REVS > Living the Automotive Lifestyle” section, between another two page spread on the Audi R8 turbodiesel (cover story) and a 2008 Mother’s Day Gift Guide “for motoring mom’s” including a Jaguar necklace and Kaenon Eden sunglasses. 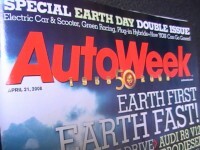 Kudos to AutoWeek for having a green issue in honor of Earth Day. Environmentally-conscious ideals will permeate future issues, no doubt, but let’s hope it’s sooner and more often, rather than later and token.